One of the key aspects to understand when you successfully set up a travel company in the UK is the memberships you need to be enrolled to. The UK travel industry is heavily regulated and there are many schemes you can join to make the most of your travel company opportunities. There are 3 main memberships that you need to seriously look at when you set up a travel company – ATOL, ABTA, IATA. ATOL is an abbreviation for Air Travel Organiser’s Licence. As the name suggests this is a licence, so it’s a compulsory membership for those arranging flight inclusive packages departing from the UK. 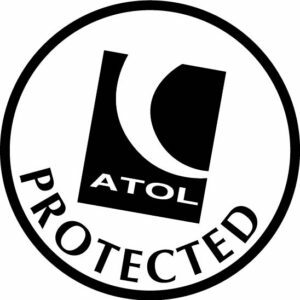 ATOL has different categories you need to consider and so you may wish to be licensed for all or just some of them. This is a package holiday that includes flight and hotel. Other elements can also be included here including transfers or car hire, but the dominant product it covers is flight and accommodation. This is as the name suggest for flight only bookings. However it is not required for all bookings. For example you could sell flights as an agent for an ATOL holder as an ABTA agent, or using your IATA membership.. we will explain this for you below. The ATOL flight only licence covers flights that are booked with airlines where you do not have an official capacity as an agent and so you add on your own mark-up to the original flight, whether as a service fee or commission. This category covers licences for products that include flights, but not accommodation so for example a flight and transfer booking or flight and car hire. The term flight plus, basically refers to as the names suggest a flight plus a product out of the ATOL package category. Anyone setting up a new Tour Operators selling outbound flight inclusive holidays from the UK will need an ATOL licence. ATOL is also required for many travel agents now including online travel agents, which makes it an essential licence to consider when you set up a travel company. 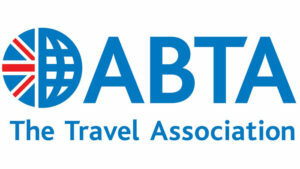 ABTA is the Association of Travel Agents. Becoming a member of ABTA automatically associated you with travel agents in the UK. ABTA has two types of memberships for travel companies. You can be a principal Supplier of ABTA and also an ABTA Retail Agent. These are tour operators who do their own contracts and see their own products under their own name. They then sell this onto the consumer or to Travel agencies. It is not compulsory to be a member as a principal supplier but it does give your consumer more protection. As holiday companies need to adhere to service levels that are acceptable by the association, this gives an element of trust to the consumer. Membership here can help establish your brand and give you more the much needed levels of trust required to help convert your customers. These are ABTA travel agents that wish to sell principal supplier’s products. This includes traditional retail agents on the high street and also OTA’s (online travel agents). Becoming a retail agent will mean you can sell the most popular brands in the UK and also benefit from the ABTA single payment scheme. ABTA members also may have access to some flights that non-ABTA companies do not. For example charter flights run under ATOL licences and these ATOL holders may sell as principal suppliers to ABTA retail agents. An example of this is AVRO selling their flight stock through ABTA agents. ABTA membership is mainly considered by those establishing a new Travel Agency, but is also beneficial for those setting up a tour operators and to set up up a travel company with complex business models. 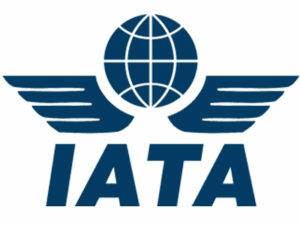 IATA is short for International Air Transport Association. This is an association as the name suggest for air transport. Companies that are members of this association have access to over 260 airlines around the world. They can book these flights with all member airlines. This is especially important membership for flight centres and also those tour operators that wish to sell tailor made packages. Some people that set up a travel company are not IATA members and still successfully run their travel companies. These companies will traditionally but flights from other IATA members with a mark-up added on. Tip: You may find that you don’t wish to apply for another membership and the cost difference per flight makes this justifiable… but that’s down to your own business decision and commercial agreements. IATA membership is mainly beneficial for new flight ticket agency, but again is beneficial for tour operators as it gives them access to flights. Nowadays when you set up a travel company you need to consider some or all of these memberships as distribution channels change continuously and more hotels sell directly, and airlines sell directly. With business models evolving, you need to ensure you are always ahead by utilising your resources (in this case memberships) to their maximum. Becoming members of multiple areas can give you much needed flexibility and power to evolve. Are you setting up a travel company? What memberships are you considering? If you need help, just comment below and we will try and help!